Airlines occasionally have to make emergency landings or direct flights from their destination point for a number of reasons. Planes don’t usually fly to the wrong destination by accident, but that seems to have been the case for a British Airways flight. 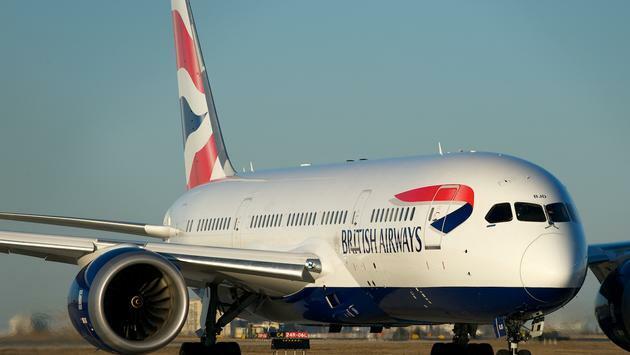 The British Airways flight took off from London City Airport on Monday and was destined for Dusseldorf, Germany, but due to flight paperwork submitted incorrectly, it landed in Edinburgh. Travelers quickly realized the mistake when the plane landed and a “Welcome to Edinburgh” announcement was made. Passenger Sophie Cooke told the BBC that everyone thought the "Welcome to Edinburgh" announcement was a joke until the pilot asked everyone to raise their hands if they wanted to go to Dusseldorf. Everyone's hands went up in the air. Apparently, the plane had flown from London to Edinburgh and back the previous day and someone at WDL Aviation accidentally repeated and submitted the same flight plan for the next day. The airline crew arrived at London City airport on Monday, saw the Edinburgh destination on the flight plan and followed the same route, unaware that the plane was meant for Germany. Passengers were bewildered by the experience and many took to Twitter to share the bizarre incident. Passengers had to wait for two and a half hours on the tarmac while the pilot and crew sorted out the mistake. "It became very frustrating. The toilets were blocked and they ran out of snacks. It was also really stuffy," Cooke said. WDL Aviation said it was "working closely with the authorities to investigate how the obviously unfortunate mix-up of flight schedules could occur." They added that the passengers were taken to Dusseldorf after the unexpected stop, saying, "At no time has the safety of passengers been compromised. We flew the passengers on the flight with number BA3271 to Düsseldorf after the involuntary stopover in Edinburgh."